Church of the Holy Spirit was officially established by Archbishop Robert E. Lucey on August 12, 1964. The parish was comprised of families from Blessed Sacrament and St. Mary Magdalen parishes. The first pastor was Monsignor Bernard F. Popp. In the earliest days of the parish, services were held in the chapel of Mount Sacred Heart Convent. The first Mass was celebrated there on August 15, 1964. The first structure of the newly formed parish was the rectory and chapel at 906 Mt. Capote where daily mass was held. Groundbreaking for a multi-purpose building took place on August 23, 1964, and was dedicated on November 22, 1964. This building was used as a place of worship on weekends, and a school and meeting hall during the week. There were 500 families in the beginning, but the parish grew quickly, and in 1965, an addition was made to this first building, and a school and a rectory were constructed. Bishop Stephen A. Leven blessed these buildings on August 28, 1966. The parish continued to grow rapidly, and in 1969, Father Alois Goertz, sent a letter to parishioners proposing that a church be built. 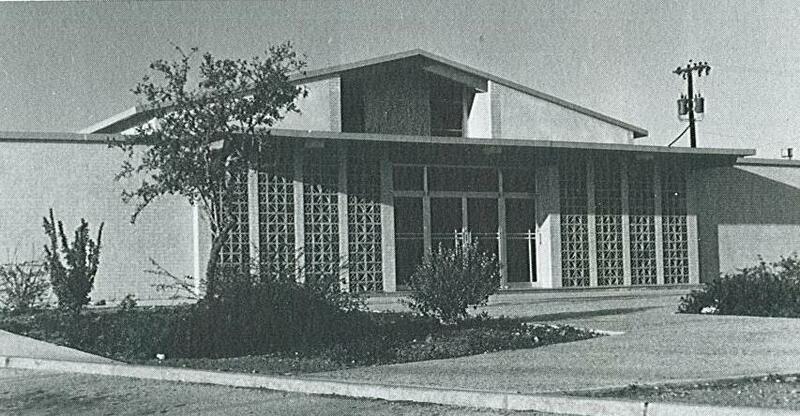 After several years of planning and work, the solemn blessing and dedication of the church building was held on December 17, 1972. The “old” church was converted to a parish hall, school office, teacher workroom, counseling room, and learning resource center. The continued growth of the Catholic population in our area again resulted in the Archdiocese creating new parishes. 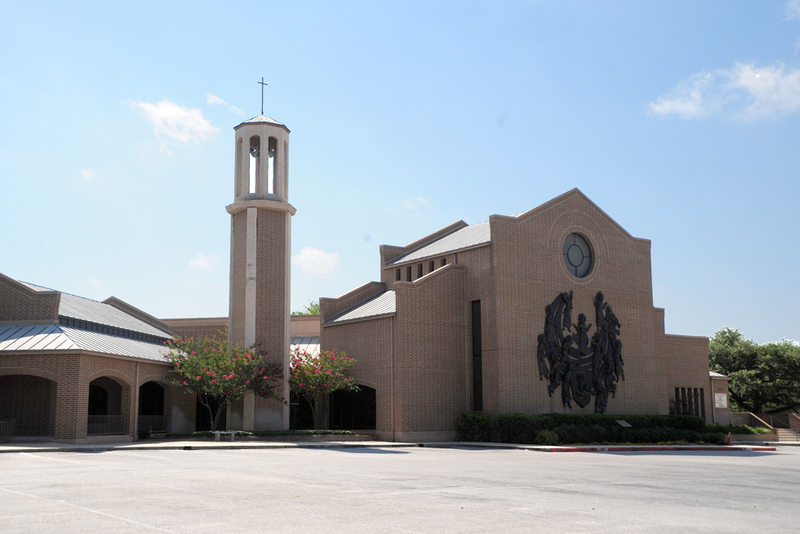 More than 300 families were reassigned to St. Mark Parish in 1976, and another 800 families were called to join St. Francis of Assisi Parish in 1980. And still, Holy Spirit continued to grow. In 1984, membership surpassed 1,100 families. In 1982, under the direction of the pastor, Msgr. Lawrence Walsh, planning began for the construction of the much needed Family Center. This building included a banquet room, cafeteria, gymnasium, library, administrative offices, clinic, classrooms, and meeting rooms. 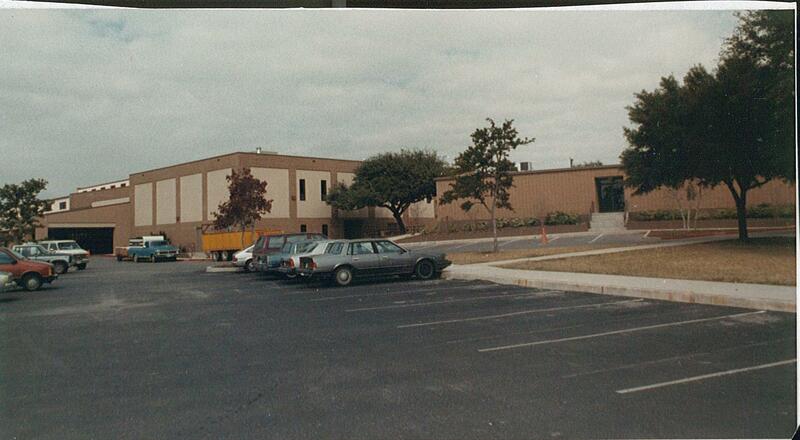 Dedication of this facility was held on December 1, 1985. Two years later, the second floor was completed making additional classrooms and meeting rooms available. At that time, Holy Spirit parish had 1,400 registered households. space was no longer adequate. After extensive research and planning, renovation of the Church building began in August, 1992. Seating capacity was increased from 750 to 1000, and updated liturgical directives were implemented. The sculpture that depicts the descent of the Holy Spirit is on the façade to visually express the name of the parish. 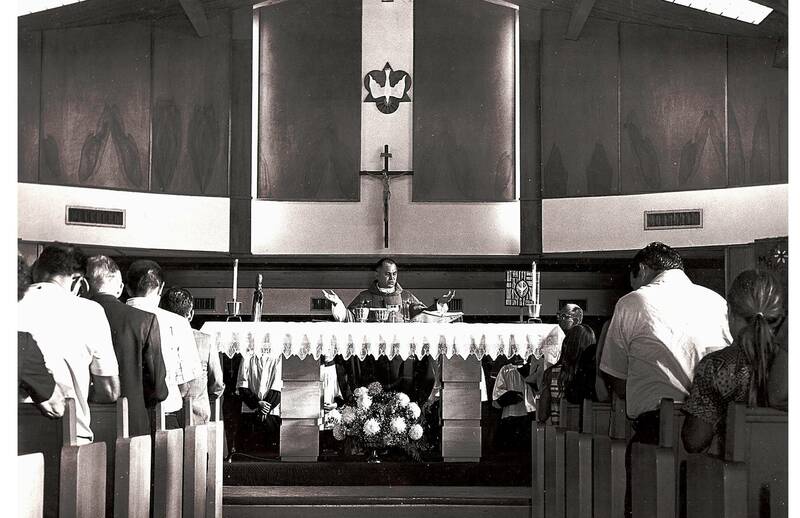 Archbishop Patrick Flores dedicated the newly renovated church building August 8, 1993. At its completion, parish membership soon reached 2,100 families. During the next decade, the parish and school continued to experience rapid growth. In order to ease overcrowding in the school, and at the same time provide additional space for parish offices, Holy Spirit decided to enlarge the facility once again. 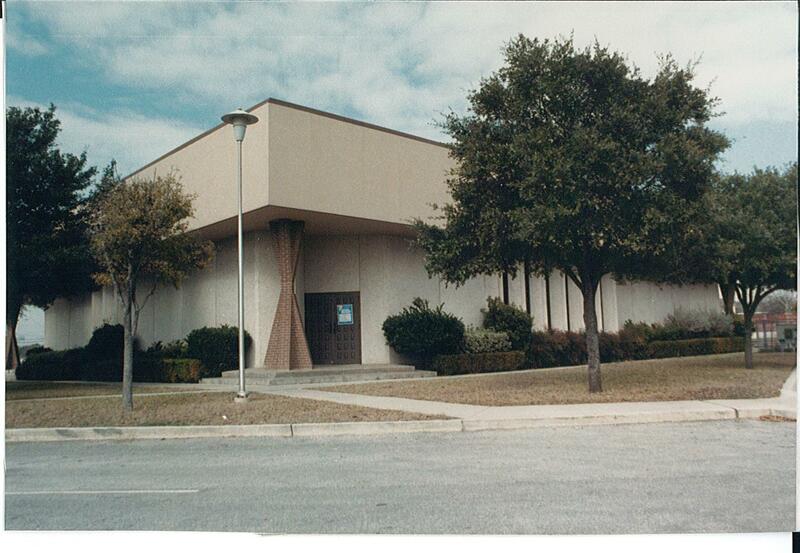 Construction was completed in 1998 on a two level addition. The upper level was designed to include parish administrative offices, a second cafeteria with fully equipped kitchen, restrooms and meeting rooms. The space on the lower level would house additional classrooms for middle school students, a computer lab, a second teacher workroom, restrooms, and the counselor’s office. The open ground level was configured to provide additional – and much needed – parking spaces. This project also included updating the original school building by renovating several classrooms, the clinic, the original teacher workroom and the new ADA-approved playground. 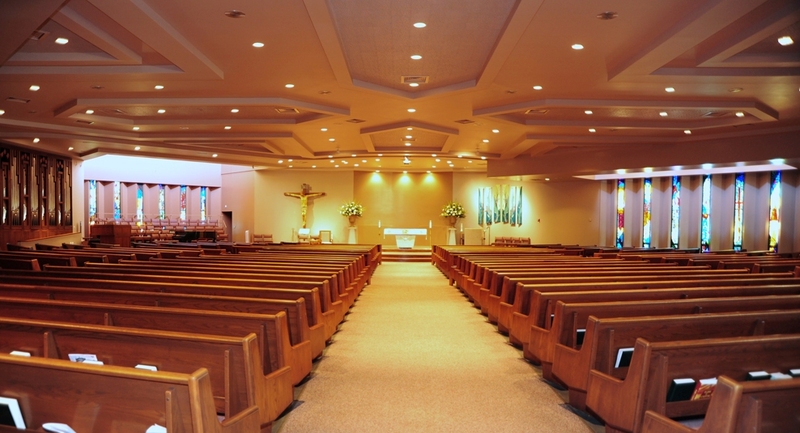 At the completion of this building project, parish membership had grown to 3,100 families. Holy Spirit continued to touch the lives of many area Catholics. Attendance at mass, the number of groups using the Family Center facilities, and the always-crowded parking lots indicated the growth of our community. In 2004, the parish once again needed to expand. Plans were studied and approved for a three-phase project: a new residence for the priests, additional Church parking, and athletic fields for the parish and school athletic programs. Additional property purchased for these projects included four houses adjoining the Church property and a vacant flood plain site located on West Avenue near Antonian High School. One house facing Posthouse Circle was demolished for the new rectory. This residence, which can house two priests, was blessed and dedicated in September, 2004. The demolition of the three houses located on Tally Ho Street provided 88 additional parking spaces. 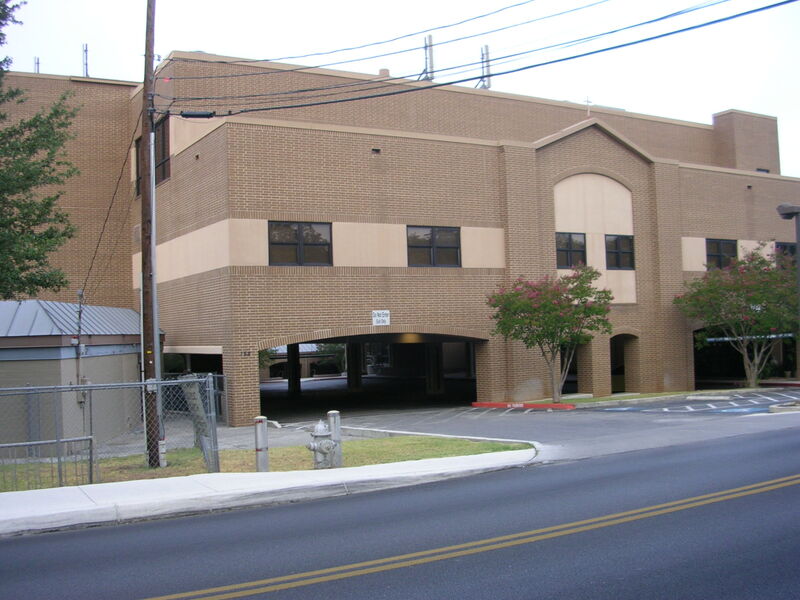 With its completion in September, 2005, the parish now has a total parking capacity of 418 vehicles. 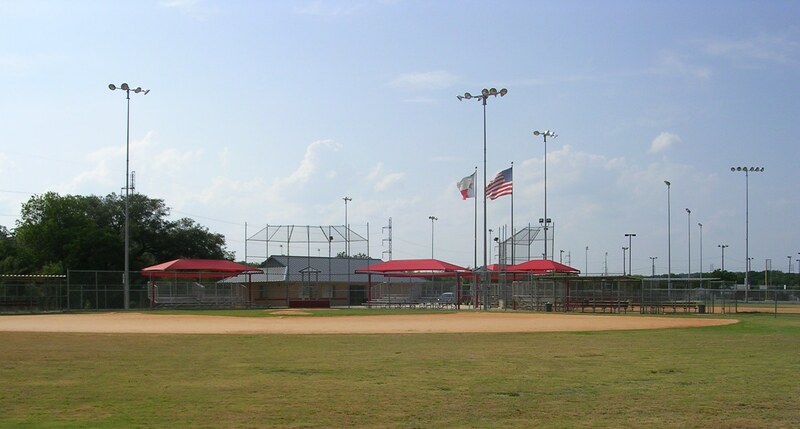 The sports complex consists of a baseball field, softball field, football/soccer field, spacious parking, a concession stand, restrooms, and a barbeque pavilion. The entire complex is lighted for night games and other activities. The West Avenue Fields were blessed and dedicated in April, 2006. This facility serves our parish athletic association and school children each year. Future plans envision a separate Pastoral Office building located on the site of the former rectory with renovation of current administrative offices to provide additional classrooms and meeting rooms to better serve the needs of our 4,700 currently registered households. Our latest development, which began in the Spring of 2012 is our “Spirit Park”. The green area next to the parish buildings [formerly parish athletic fields] on the Ramsey side of our property provides playground facilities, basketball pads, picnic areas, and a barbeque area for fellowship activities and neighborhood recreation opportunities. Spirit Park is dedicated to all the parishioners and families who first established the faith community of Church of the Holy Spirit, those who continue to make us the vibrant parish of today, and those future members who will enrich the legacy that is theirs.